It’s convenience, or rather the lack of it, that explains why someone who regularly does a 60 mile ride at the weekend, or commutes 15 miles each way to work all week, will choose to jump in the car to pop into town. Sounds absurd on the face it, surely a journey of 1 or 2 miles is easier than slogging your way over the Cotswolds? And of course it is, if you ignore all the phaffing around that goes with it. It’s not just distance that differentiates short local journeys from long fast clubruns; one is all about the ride while the other is about the purpose. More than about 5 miles and the time spent on the bike begins to dominate, less than 5 miles, or about half an hour, and it’ll be what you do when you get there that counts. You’re no more likely to clip clop into a restaurant in a pair of budgie smugglers and a shirt colourfully advertising a bank in foreign climes than you are to turn up at the start of a club run in a suit and tie. For a town like Witney it’s a mere 10 minutes from the outskirts to the centre – hardly worth getting changed for. There are exceptions at either end of the cycling community. I have friends who virtually live in lycra and go everywhere by bike, and equally I occasionally nod to old guys in woollen blazers and brogues riding miles from anywhere, but valued members as they are of that risible 1.5% of journeys undertaken by bike, they’re the bookends of a missing bell-curve that could and should be mass cycling in the UK. When I go to the Netherlands and look at the people riding bikes there, just focussing on the people and their bikes rather than the environment they’re riding them in, I see the occasional helmeted roadie on a carbon framed racer, the rarer off-roader on a fully suspended MTB, but obscuring these are masses of people riding relatively heavy machines wearing nothing you’d find between the covers of Cycling Plus. When it rains I see umbrellas. I’ve tried using an umbrella and it’s not easy in a forward leaning position. Sit upright though and controlling the bike one handed isn’t a problem. In fact everything seems to just work on an upright. Sure you can splash out on a Brompton jacket with darts in the back giving enough room to stretch into an aero position, but that kind of negates having a whole wardrobe to choose from when going out. Has the technology revolution in bike design made the short journey any easier? Does a 20% weight saving give any significant advantage on a 10 minute journey? Is the electronic derailleur mech going to make my trip to the cinema any better? Seems to me everything that makes using a bike for short journeys more comfortable and convenient was sorted out before the outbreak of the Great War. 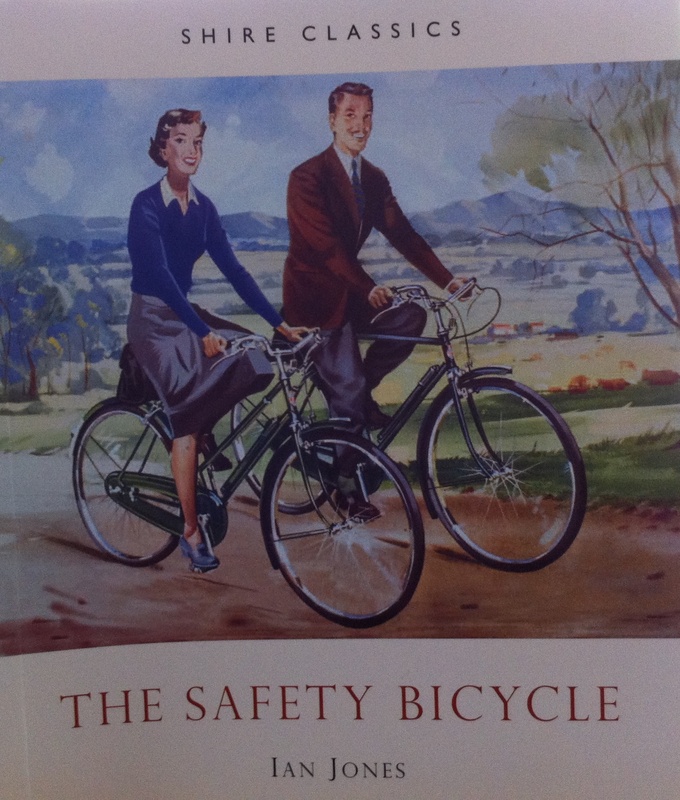 Hub gears, mudguards, chain guards, skirt guards, comfortable steel frames, the wicker basket. While since then every technological advance to make going further, faster easier has made the short journey more uncomfortable and inconvenient. The people using bikes in the Netherlands that give cycling a legitimate voice aren’t ‘keen cyclists’ or ‘cycle enthusiasts’, they do it because it’s been organised in such a way that it’s convenient. As our mega-fit mile-eater we started out with demonstrates, promoting ‘cycling’ doesn’t make using a bike convenient and is doing little to resolve the short journey conumdrum in the UK. I’m glad to say it’s not a secret here. Not everyone’s conforming to what is ‘normal for the UK’. Our arty bike stands at the back of the Woolgate have a steady stream of snappily dressed bike users coming and going with their shopping. Mostly women. Even more in Oxford ignore the advice of cycling experts and are discovering for themselves what works, or just carrying on a tradition that hasn’t died out yet. They’re the ones doing most to promote the bike’s supremacy for the short journey. I read the other day that the classic dutch bike is based on the british roadster. Oh Raleigh. Where did it all go wrong?